Ilford Photo is set to launch a new fibre-based silver gelatin paper aimed at fine art photographers, the firmu2019s first traditional photographic paper in 13 years. A version will also be available later this year for professional printing from digital files. Ilford Photo is set to launch a new fibre-based silver gelatin paper aimed at fine art photographers, the firm?s first traditional photographic paper in 13 years. Multigrade Art 300 has been developed by Cheshire-based Harman technology Ltd, in an ?exclusive? tie-up with German fine art paper maker Hahnemühle. 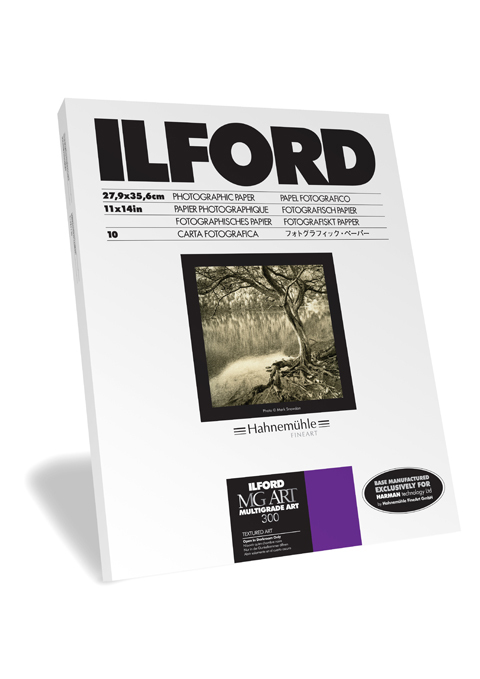 It will go on sale in the UK from 4 April and will be Ilford?s first darkroom-based paper since the advent of inkjet printing. ?The response from all over the world has been stunning,? said Harman?s UK director of sales and marketing Steven Brierley who sent the paper out to top photographers as part of field trials. ?It is squarely aimed at fine art printers and photographers, and will expand their scope considerably,? he claimed. The 300gsm paper has a textured feel and is said to deliver a neutral to warmish tone on a ?cool base?, according to Brierley who said it also has an ?eggshell sheen?. Multigrade Art 300 also boasts ?reduced wash times? and will therefore be suitable for photographic students and photography enthusiasts, according to Harman. It will go on sale in sizes ranging from 10x8in to 20x24in and will be available in roll sizes. Amateur Photographer (AP) has learnt that a digitally compatible version of the paper is likely to become available in the summer, so that professional printing labs can print from digital files. Brierley explained that photographic printers view silver gelatin prints as the ?gold standard?. They are favoured by renowned photographers such as David Bailey and Terry O?Neill, he said. Ahead of its official UK debut, Multigrade Art 300 will be available to buy in an 11x14in 10-sheet pack at the Focus on Imaging show, to be held in Birmingham next month. Prices have yet to be announced but we understand it will cost slightly more than the current Ilford Multigrade fibre-based paper. Brierley believes its launch will show that traditional papers are not disappearing in a world of inkjet printing. He admits that Multigrade Art 300 is likely to appeal to a ‘niche’ market but he said it will demonstrate that Ilford is not prepared to ‘sit back’. Brierley was speaking to AP, ahead of the official press launch of Multigrade Art 300 on Friday.